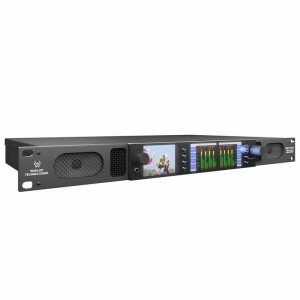 With Wohler’s renowned high quality audio, the AMP1-2SDA+ provides instantaneous selection and monitoring of any available pair of audio from either a 16 channel SDI (with looped output), 1 AES input pair, and either of 2 pairs of Analog inputs (Balanced or Unbalanced). Analog and AES outputs of the selected pair are included. Additional 8 pairs of both Analog and AES on DB-25 inputs. The unit features adjustable volume and balance controls, clear display of levels on two 26 segment LED meters and an average phase indicator. Designed with simplicity in mind, the AMP1-2SDA+ provides two rotary controls that allow the user to easily select a source with the first rotary control and move through pairs with the second rotary control. 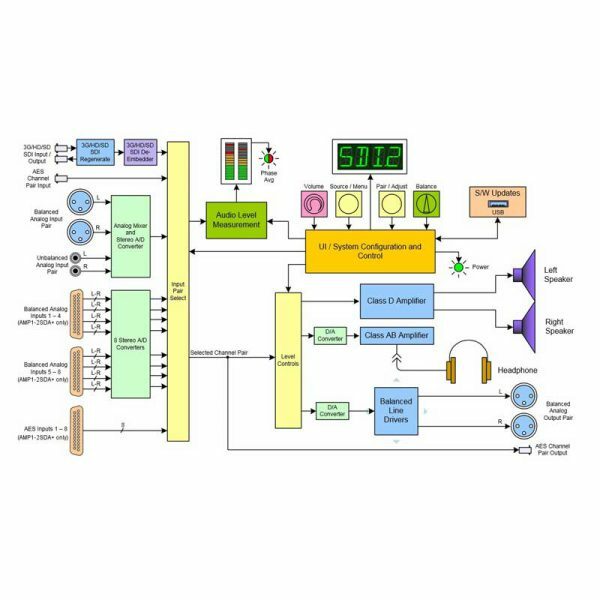 A large front panel screen clearly displays the selected source and pair and is highly visible to users, even in busy technical areas. 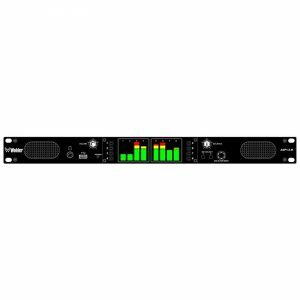 Additional features include simple tone controls for adjusting audio output and an audio trim control for altering the analog output levels. 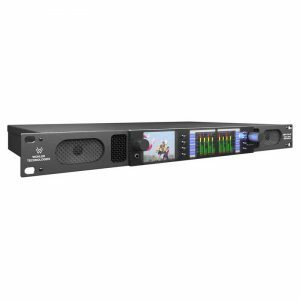 Ultra-compact, the AMP1-2SDA+ fits perfectly in a network facility or OB truck live event and is ideal for a range of applications where basic, but reliable stereo audio monitoring is required. Additional input of 8 pairs of Analog audio on 2 x D-Sub.